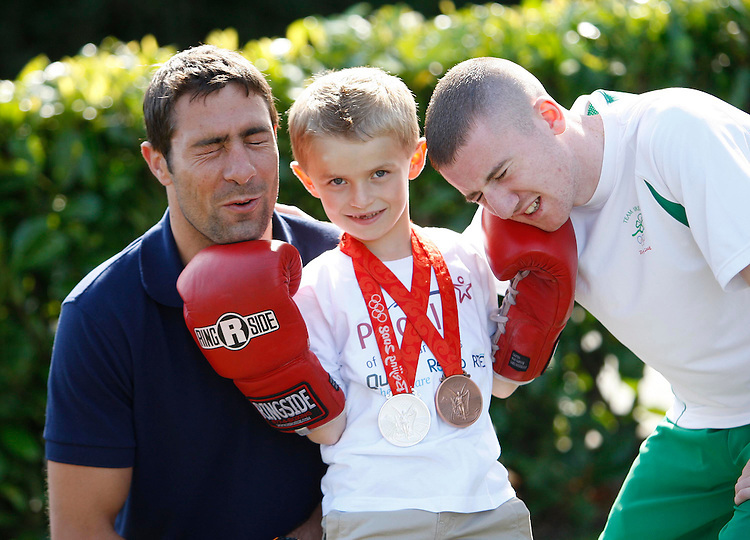 Ronan Hayes, age 7 from Co. Cork a recipient of this years People the Year awards, (centre) with Olympic Boxing heros, Kenny Egan (left) and Paddy Barnes who also received awards pictured here prior to the 34th annual People of the year awards, organised by Rehab and sponsored by Quinn-healthcare held in Citywest Hotel, Dublin. pic. Robbie Reynolds.